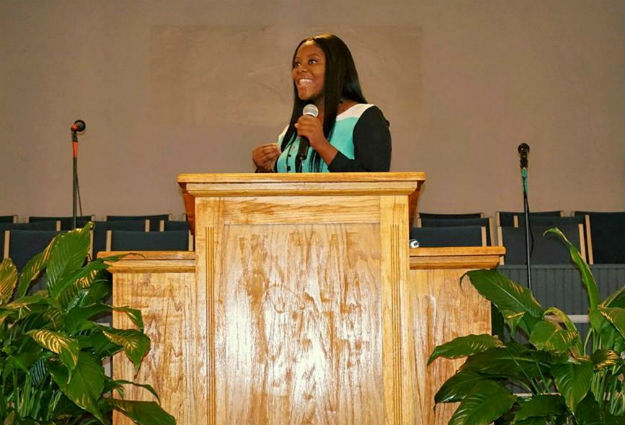 Martesha Collins is a college student and an extraordinary young woman. She has a vision of using education, guidance, and mentorship to lift up young people from the same underserved community where she grew up. Her hope is to create a cycle in which these new leaders help their community, following Martesha’s example. She has a plan, she even knows how she wants to measure her program outcomes, and she has clearly articulated it all on her website . Bright Girls: What is the name of your non-profit and what is your mission? Martesha Collins: The name of my organization is Legend In The Making Community Outreach, Inc. (LITMCO). My mission is to invest long term in the low income high school students from Miami Dade County. I want to cultivate resilience, eagerness, altruism, and performance (“REAP”) in young people who are at risk of failing to fulfill their potential. I want to help these students to break the cycle of poverty for themselves and receive higher education so that they may lead in their communities. LITMCO seeks to accomplish this mission through implementing experiential education programs, intensive long-term mentoring, and access to private resources that are usually unavailable to low-income students, including college counseling workshops and professional development. Throughout this unique and special intervention, students engage with other young people from diverse communities, find a forum to discover their authentic voices, and integrate their experiences into extended visions for their futures. The long term-goal of LITMCO is that individual students will not only transform their own lives, but that they develop and enhance skills and values to become a new generation of leaders, transforming the schools and communities in which they live. Bright Girls: How did you get the idea to start it? Martesha Collins: I’ve always had a passion for youth and their potential. I started to cultivate this ideal through my Spoken Word performances. Going back and encouraging young people through my pieces of art drove me to believe that I wanted to do more because children in my community actually look up to me. Growing up in an underserved area with limited resources made me want to go back and do something groundbreaking for those type of schools. There was one teacher who went above and beyond to ensure my success. He did everything possible to see me succeed including tutoring me for important tests and even proofreading my college essays and applications. The staff at my old high school never talked to us about college… Only here and there but never from the heart. Heck, we barely had seats in the classroom to sit in and let’s not get to the learning materials. It hurt me and it still hurts because we are the children who dictate tomorrow but how could we do that when we can’t even see past a 7 hour school day. My feelings and heart are invested into being everything that I didn’t have because these children have potential. have been the steps to do that? Martesha Collins: Yes. The beginning step to becoming 501c3 certified is research, research, research. There are so many different paths and alternatives to take when it comes to becoming certified. So many different websites with so much information. Patience is definitely a virtue in this process just like having a mentor in the same field as you. While Martesha has been educating others she’s been working toward her own bachelors degree from Florida Atlantic University with concentrations in Communication, Family & Society, and Women’s studies. If you want to help her to lift up more students, please visit her donation page, she is looking for specific items, mentors, and volunteers.